Ever just feel like having a sophisticated lunch with a friend? With all the time we moms spend taking care of our families, homes and relationships, sometimes it's nice just to have a little woman-to-woman time to catch up and relax. 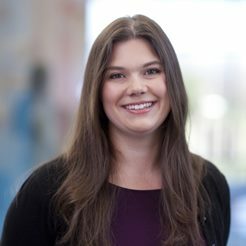 And with the kids headed back to school, what better time to do so then while they are away learning? 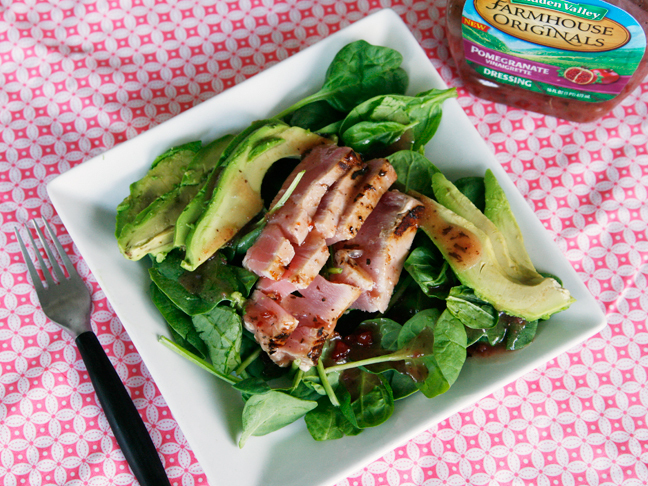 This Pomegranate Marinated Ahi Tuna Salad with Avocado may sound fancy, it may even look fancy, but aside from about 30 minutes of marinating time, this is fast, easy, and flavorful—the perfect dish to serve while catching up with a friend. 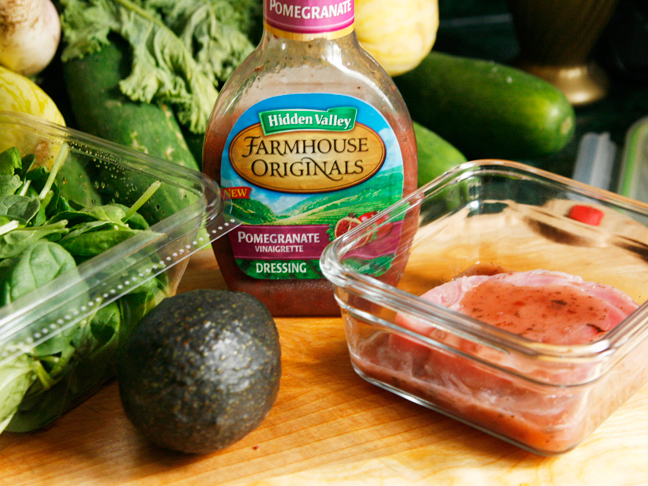 The secret to the sweet-savory flavor that makes this salad so special is the Hidden Valley Farmhouse Originals Pomegranate Vinaigrette. This new vinaigrette is sweet and zesty—a perfect accompaniment for the meaty tuna and creamy avocado. These babies give salad a very good name! Step 1: Pour the ½ cup vinaigrette into a small container. Add the tuna, turning to coat and let sit for 30-45 minutes to marinate. 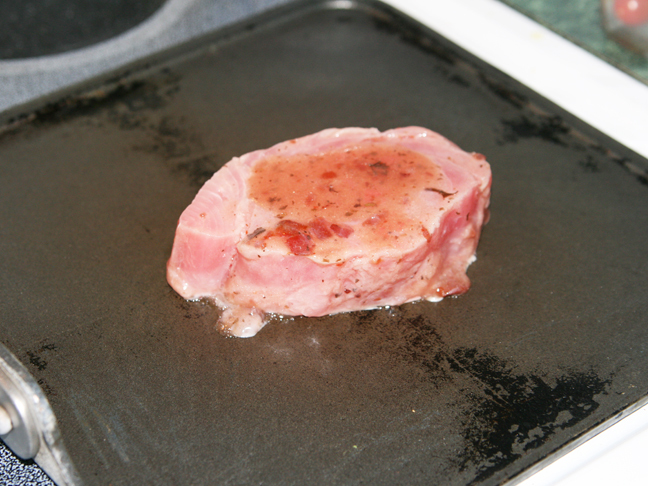 Step 2: Heat a griddle over medium heat on the stove. 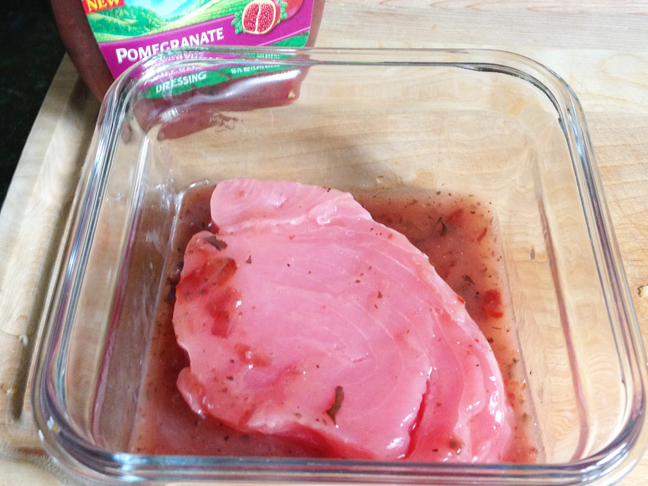 Add the tuna and cook for about 3-4 minutes per side, until seared with a warm, pink center. Remove and set on a cutting board. Let sit for a few minutes and then slice. 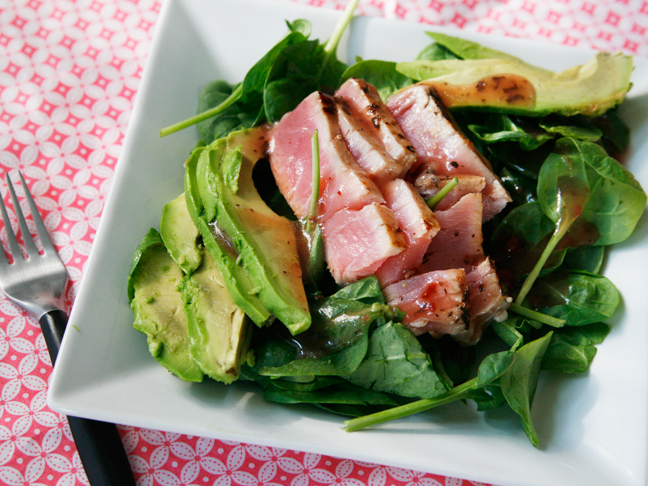 Step 3: While tuna is cooking, prepare the salads. Divide the spinach and avocado evenly among two plates. Top with half of the avocado and half of the tuna. Drizzle with vinaigrette, as desired. Devour. *This post was sponsored by Hidden Valley.